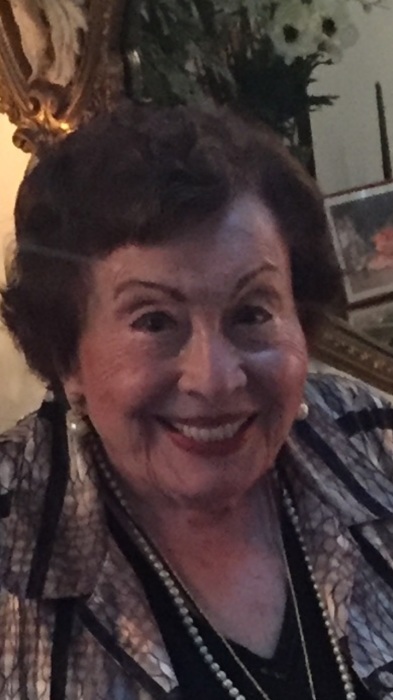 Elsa Brzozowski, age 99, died early Sunday morning, on September 2, 2018. Born Elsa Magda Mary Schembri on June 27, 1919, in Alexandria, Egypt, she was the eldest of five daughters born to Emilia and Xavier Schembri. Her parents were Italian immigrants to Egypt, where her father was employed as a manager in the Alexandria branch of Credit Lyonnais, a French multinational bank. Elsa met and married Victor Brzozowski in Cairo, Egypt, in 1951. Vic, who died in 2012, was a radio operator for TWA (Trans World Airlines), flying the Cairo to Bombay run in Lockheed Constellations. They subsequently lived in Ethiopia, Jordan, and Saudi Arabia, where they settled for 31 years, before retiring in Overland Park in 1984. Vic spent his career in aviation related jobs, finally retiring as an aviation consultant to the Saudi government. Elsa concentrated on bringing up their four sons, three of whom survive her. Once settled in Overland Park, Elsa and Vic re-established contact with their many TWA colleagues and met many new friends in the Overland Park community. They were known for their frequent dinner parties, highlighted by Elsa’s acclaimed Italian food. Elsa, an avid and excellent bridge player, frequently won the many bridge tournaments and parties they attended and hosted over many years. Elsa is survived by three sons - Charles, Frank, and Brian - and their wives Susan, Elizabeth and Katherine. A fourth son, Glenn, died in 2010, and is survived by his wife Perri. Elsa is also survived by eight grandchildren and a sister, Doris, in Australia, where many nieces and nephews live. Elsa worshipped at Holy Cross Church in Overland Park, where a funeral mass will be held on September 14, 2018, at 1pm. In lieu of flowers, donations to Holy Cross Church and/or Crossroads Hospice & Palliative Care Services will be welcomed.